Remember the UZ student who developed an EcoCash internet payments proof of concept last year? Well, he’s since joined a startup that’s doing exactly that – facilitating internet payments via EcoCash. Called Pay4App, the startup aims to become your preferred local payment channel for your apps and electronic vouchers over the internet. The problem they are solving is basically that most Zimbabweans don’t have credit cards to pay for stuff online. But they have EcoCash mobile money accounts and this could be used to pay for for stuff over the internet the same way people use EcoCash to transact over the counter. So far it’s not a completely online based payment service. It’s a hybrid solution; the actual payment is via a mobile phone in a EcoCash user to merchant number type of transaction. The Pay4App application picks the payment up, matches it with the transaction approval code supplied by the customer on the website and provides the product. Right now that product is Africom internet credits. There’s Brodacom and WhatsApp subscriptions as well but according to developer Sam Takunda, most traffic right now is Africom. The service went live in December. Takunda says their motivation is to use eCommerce to take out small pains and to show that “even though eCommerce is largely unproven, there are applications of eCommerce that if implemented today will be received right away by the market.” Takunda added that unlike bank accounts, people don’t have their salaries in their EcoCash wallets so they are finding that aren’t hesitant to use it. He couldn’t be drawn to disclose the figures they are doing in transactions, and usually that means not significant enough yet to blow trumpets about. Pay4App are of course not the only ones solving this problem. ZimSwitch have a solution called Vpayments that enables banked local individuals to do eCommerce transactions. It’s complete with an API for developers but adoption is still only beginning, so no one knows how it will do. So far, one of the most visible ISPs locally, Utande, uses it to sell internet credits to its customers. Check it out and let us know what you think in the comments. We haven’t had the opportunity to try it ourselves but would love to know your experience if you do. Local solutions for local people. Well done to all those involved! Wataura mfesi. Ku Gweru futi taa kana bhoo. 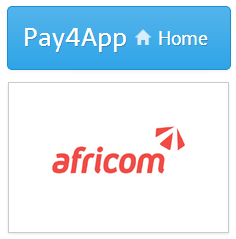 LOL a friend told me about Pay4App and when i saw the .com i thought it was a site outside Zimbabwe and he had to refer me here so that i’m convinced. I tried them out just now just bought $5 Africom airtime from my desk. Pay4App was used to register a domain name and it was mind-blowing at how easy, fast and reliable this concept was. It is truly one of the innovative solutions that will propel Zimbabwe forward.